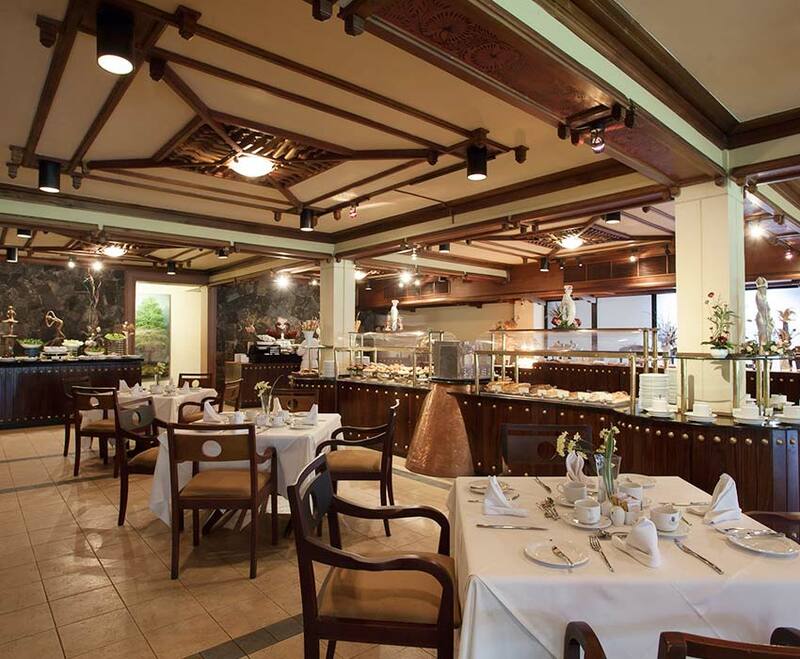 The Earl’s Regency has some of the best restaurants in Kandy, with our dining options ranging from local favourites to international feasts. Aitken Spence Hotels are known for their award winning culinary delights, and a meal at the Earl’s Regency proves no different. Guests can enjoy our theme nights at the Far Pavilion restaurant from a delectable array of appetizers, mains, action stations, and desserts. Looking for something a little spicier? The first five star Indian restaurant in Kandy, Royal Spice Indian Restaurant, is sure to satisfy your urge for a lip-smacking curry. Have a perfectly cooked steak or a crispy basket of fish ‘n’ chips while rooting for your favourite sports team at the Mountbatten Lounge. 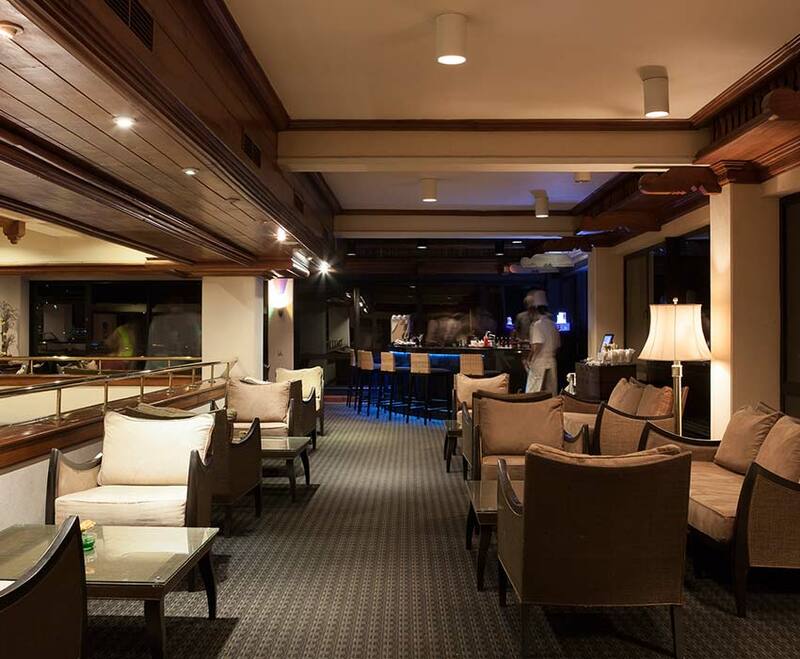 End the day with a nightcap at the Bar, a favourite filled with local and international liquors and wines. The culinary brigades at Aitken Spence Hotels are among the best in Sri Lanka, having won numerous awards over the years. 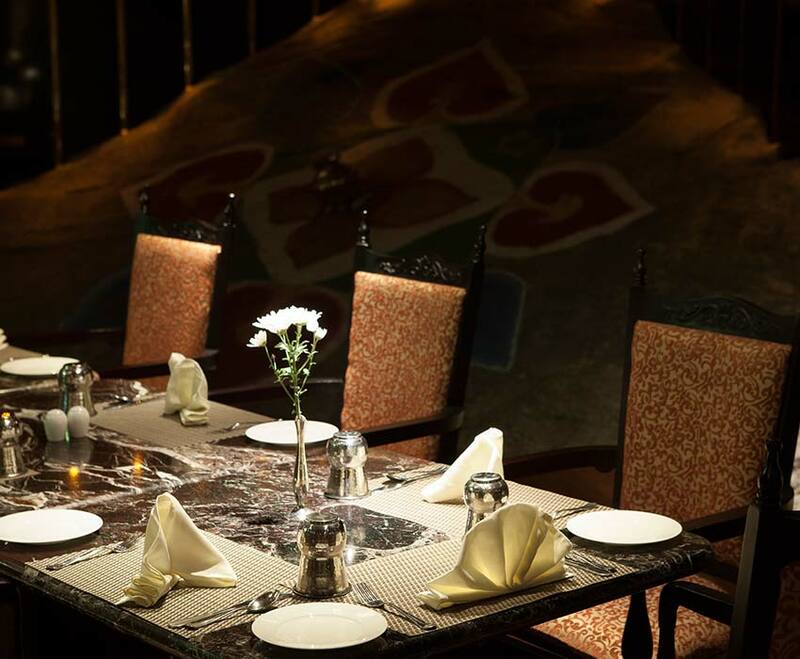 The restaurants at the Earl’s Regency Hotel combine the best traditions of international fine dining with a Sri Lankan touch, making the meals here a memorable and unique experience. Traditional Sri Lankan food is a wonderful mix of taste, colour and aroma. Because the island’s location made it a popular stopping-off point for foreign traders, indigenous spices such as cinnamon and cloves have been enriched by diverse culinary influences from around the world. For example, the Arabs introduced saffron and rose water, while the Portuguese not only brought chillies to the island but also culinary terms such as “temper”, which is derived from the Portuguese word temperado, meaning to fry and season. The Dutch introduced recipes rich in eggs and butter, like Breudher, a Dutch Christmas cake. There are also Malay influences, such as the steamed dessert watalappam and the rice dishes pilau and biriyani.